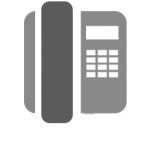 Integrated cloud phone systems and services for desk phones, desktop or any other mobile device. 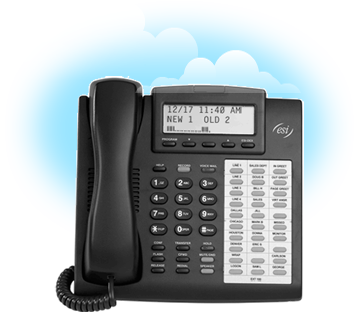 ESI Cloud Phone Systems PBX from ACT provides a new class of end to end communication for end-users. 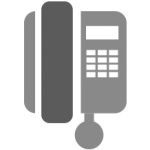 Integrated services for desk phones, desktop or any other mobile device provides a single user experience across all devices which leverages the advanced features of the ESI phone and cloud PBX. Our phones are specifically designed to work with our cloud PBX solution to make it among the most integrated telecommunications solution in Houston. ESI Intelitouch™ is the unique integration from the phone to the desktop interface that only ESI can provide, because we design and deliver both the desk phone and the phone system. While many providers offer full-featured phones and applications, they’re often complicated to personalize and program; in addition, key presence features are not in sync, leaving a fragmented approach to user availability. No other provider offers this level of integration between the user dashboard and the phone, making the ESI experience unique. Staying connected to the office is key to maintaining that professional experience and ensuring you have access to business information when you need it. ESI extends your business phone system to your mobile device, making your personal device a perfect mix of business and personal communications. Our mobile application Ditto – simply routes all your calls to your mobile device when you are out of the office. In addition, Ditto enables you to maintain your business number on caller ID, record calls, transfer, and listen to voicemail.  Cloud PBX from Action Communication Technology provides businesses the most user-friendly cloud-based phone system available in the Houston Metro area. Advanced system features that your business will actually use; it’s that simple! Plus, with ESI-designed phones your communication solution is the most integrated solution available, delivering a real-time view of communications across all devices anywhere, anytime. Visual voice mail — View your messages in your dashboard to more easily manage your calls. Click-to-call — Click any number from your dashboard to call instantly. Visual contact directory — View and manage your contacts and easily import from Google Contacts, Microsoft Outlook, and Apple vCard. Automated help — Access an automated help menu to quickly get the information you need with one touch. 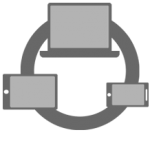 Multiple-device support — Use up to three devices per extension so that your important calls reach you, no matter where in your workplace you may be at the moment. Web-based administration — View your voice mail, call history, contacts, and your colleagues’ availability as you manage your own — simply and at your fingertips — with your web-based dashboard. ESI Ditto mobile application — Sync your mobile device to your office phone and never miss another important call. Use Wi-Fi and mobile data instead of cellular minutes. 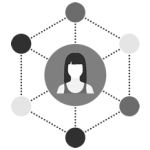 Presence management — View co-worker availability in the color-coded Contact list.